Reaction to John Terry's aquittal in Up All Night's World Football Phone-In. 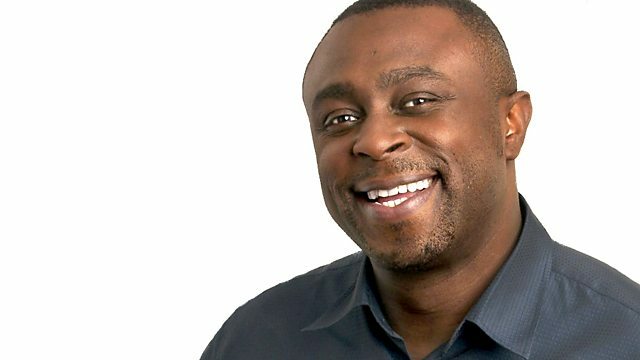 News from the UK and abroad with Dotun Adebayo. There's reaction to the news of footballer John Terry's aquittal on racism charges in the World Football Phone In. Dotun previews US Secretary of State Hilary Clinton's historic visit to Egypt, the incredible story of the man who survived after trying to walk 150 miles across the desert in Utah, USA, how athletes from Kazakhstan want to bring horsemeat sausages to London 2012 so that they can include them as part of their training diet and Up All Night pays tribute to the folk singing legend Woody Guthrie who was born 100 years ago.